Palestine, Texas- Palestine has landed a spot in the Texas Highways Magazine 2014 Top 40 Travel Destinations list, ranking No. 14. Last fall, Texas Highways called on readers and fans to share their favorite places in the State of Texas. Thousands of readers helped to shape the final Top 40 list, a countdown of the chosen destinations has been revealed throughout 2014. 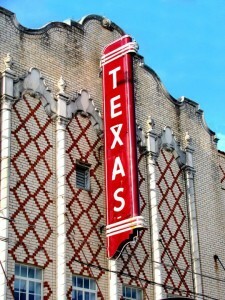 To date, Texas Highways has announced the top 13-40 travel destinations in Texas. 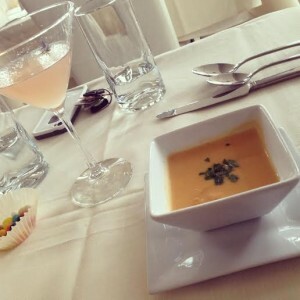 If you want to see why readers chose Palestine as one of the Texas Top 40 contact the Palestine Visitor Center at 903-723-3014 or visit the website at www.visitpalestine.com. Download the free Palestine, TX mobile app and follow Visit Palestine, TX on Twitter, Facebook, Pinterest and Instagram. 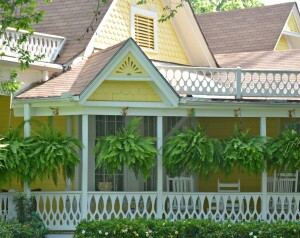 About Palestine, Texas: Palestine is a charming East Texas town that boasts more than 1,800 historic sites, including the award-winning Main Street District. Home to the Texas State Railroad and Dogwood Trails, Palestine is graced with stately homes, gorgeous scenic drives and a Texas friendly welcome that offers a true Southern experience. JEFFERSON- Shop for bargains during Jefferson’s “City-Wide Rummage Sale” throughout the neighborhoods, businesses and the Marion County Courthouse Parking Lot (Dallas & Polk Streets) on Saturday, March 31. RAINBOWS END- Six men, two roosters, and one bus set out on a perilous journey from Deep East Texas to Los Angeles, California, to the other side of a dream. Tyler, Texas- If you love to laugh then set your sights on Tyler, Texas this weekend! 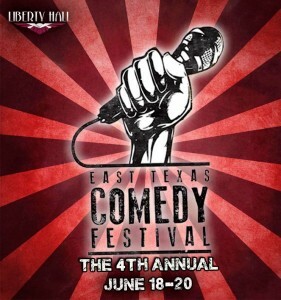 The fourth annual East Texas Comedy Festival kicks off tonight at 7:30p.m. at Liberty Hall.